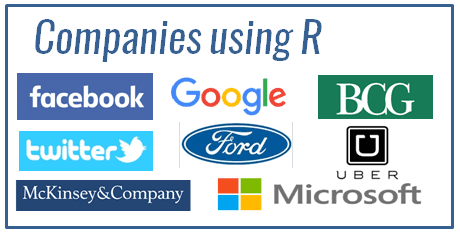 You should install both software packages – R and RStudio! Don’t just install R or your life will be difficult! We’ll be using this software to do some advanced analytics in the second half of the semester! You can get a full copy of the software – PC or Mac – for free! Download the installation package for R.
Choose the link for your operating system (Windows or MacOS). If you have Windows, choose the “base” installation file. If you have a Mac, you’ll have to choose the one that corresponds to your version of MacOS. Install the software, accepting the default options. Download the appropriate installer from the RStudio website. We will use the RStudio Desktop (Open Source License) version, which is free. Scroll down to the bottom of the page, and choose the link for your operating system (Windows or MacOS). After both are installed, you’re always going to run RStudio, which will use R behind the scenes to give you a pleasing analytics experience! 2. How to Set up MySQL Workbench? We’ll be using MySQL Workbench to create and execute SQL queries (to interact with databases). That will start around September 19, 2018. If you’re using a lab computer which already has MySQL Workbench installed, you’ll still need to configure a connection to access databases with your username and password. (2) You can get instructions for how to do both of those things in this Quick Guide to MySQL Workbench. Use the guide to set up your software and connection. The first value that starts with “m” is the username, and the second value is the password. 1. How to Use ERDPlus? To create ERDs, we will use ERDPlus, a free tool that is quite easy to use. Specifically, we will use the standalone version of ERDPlus (https://erdplus.com/#/standalone), which allows us to create an ERD within a browser. There is a short YouTube tutorial (https://www.youtube.com/watch?v=A5-yy51eNGY) that shows you how to create a diagram, and export the diagram as an image which can be placed into a Word document. Another helpful tutorial can be found using the following link: https://www.youtube.com/watch?time_continue=1&v=Ttti2HcVpc0.